This program explores ecology and conservation. Students travel across the United States, examining various species in danger and what is being done to help them. See conservationists helping rare crocodiles in South Florida and tracking caribou migrations with satellites in Alaska. Students also learn how non-native plants can disrupt an ecosystem. 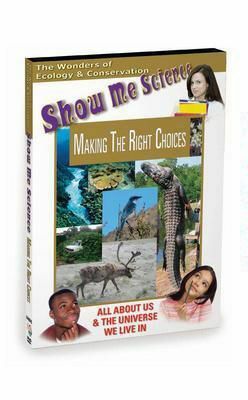 Filled with beautiful footage of the plant and animal life across the country, this program includes suggestions for careers in this field of study.